Nine humans,"Predators" of sorts, are kidnapped and taken to an alien world which is used by the Predators as a game reserve. Now they must all fight to survive while they are hunted by a new breed of alien hunters known as Predators. Predators is an upcoming 2010 science fiction, action and horror film directed by Nimród Antal, and starring Adrien Brody, Topher Grace, Alice Braga, Laurence Fishburne, Danny Trejo and Derek Mears. The film is a sequel to the 1987 film Predator. Producer Robert Rodriguez stated that he named the film "Predators" in relation to how the second film in the Alien franchise was called Aliens. 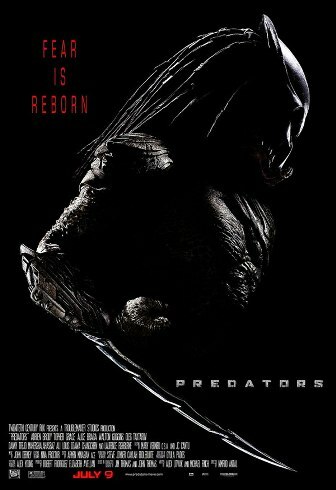 The title Predators is intended to have a double meaning, in that it refers to both the film's alien creatures, as well as the group of humans that are going against them. It's looking pretty sweet. Predator mounts. This is one movie that needed a rebooted sequel. Walton Goggins is in this? Sweet! Looks like it'll be sweet. Wonder if Arnold will make a cameo? 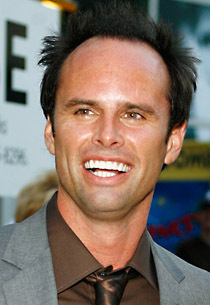 I could get super off left field here and predict that Walton Goggins actually plays as Shane Vendrell and the whole movie is about people who've committed grave sins in their life and who have died, their soul living forever in hell being hunted and killed by the Predator. They all seemed to have been transported onto another planet.